The ABL proto-oncogene encodes a cytoplasmic and nuclear protein tyrosine kinase that has been implicated in processes of cell differentiation, cell division, cell adhesion, and stress response. 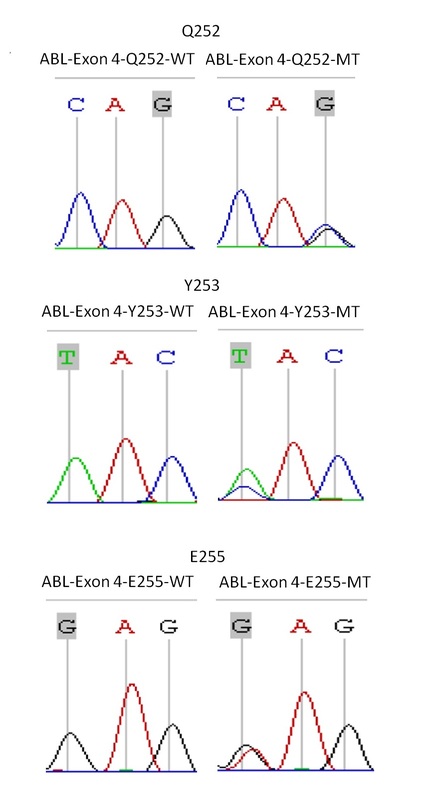 Mutations in the ABL gene are associated with chronic myelogenous leukemia (CML), where it is activated by being translocated within the BCR (breakpoint cluster region) gene on chromosome 22. 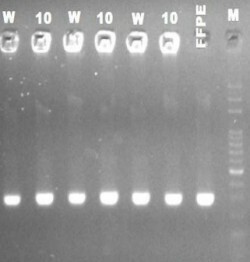 The BCR-ABL transcript encodes a tyrosine kinase, which activates mediators of the cell cycle regulation system, leading to a clonal myeloproliferative disorder. 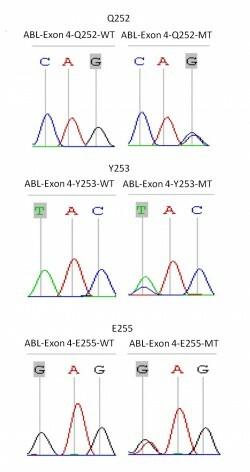 ABL exon 4 primer set have the function to enrich mutation type of ABL gene and allows to detect target codons Q252, Y253 and E255 on DNA samples.